Product prices and availability are accurate as of 2019-04-20 10:40:04 EDT and are subject to change. Any price and availability information displayed on http://www.amazon.com/ at the time of purchase will apply to the purchase of this product. 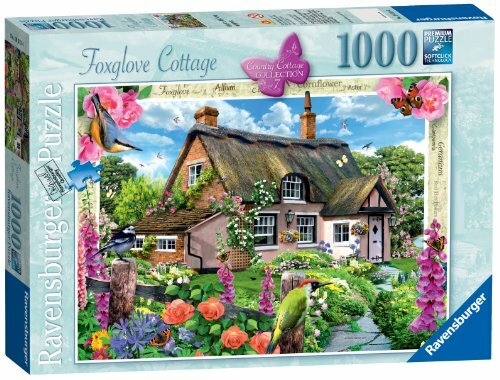 Imagine your dream country home … would it look anything like Foxglove Cottage? From the pink washed walls, deep thatched roof and the fantastically colourful garden this property would be a wonderful place to escape to. 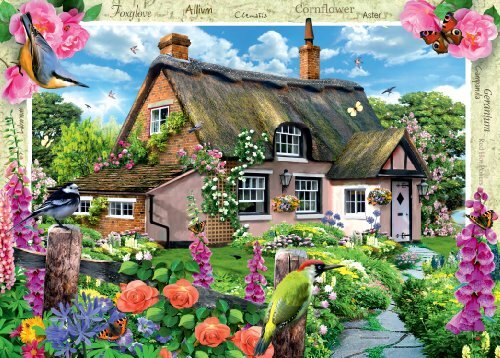 The bold, bright colours and masses of detail will ensure puzzlers have plenty to keep them entertained. 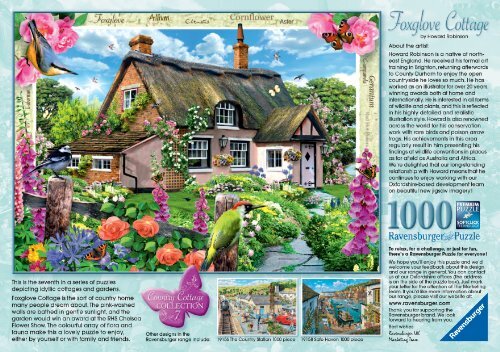 Includes an A4 inbox leaflet showing additional puzzle picture for reference and artist's biography. Number 7 in the "Country Cottage" collection of puzzles. High quality 1000 piece cardboard jigsaw puzzle. The finished puzzle measures 70 x 50cm when complete. Suitable for ages 12 years and up. Made from strong premium grade cardboard, with linen finish print to minimise glare on puzzle image.